During the middle of the nineteenth century, the manufacture of vanilla was limited almost exclusively due to the difficulty of pollinating and propagating the plant in any zone outside of its home region in the Americas. It was not until a twelve year old French-owned slave by the name of Edmond Albius had a moment of genius that the production of vanilla was opened up into other regions, and vanilla became affordable to the average consumer. 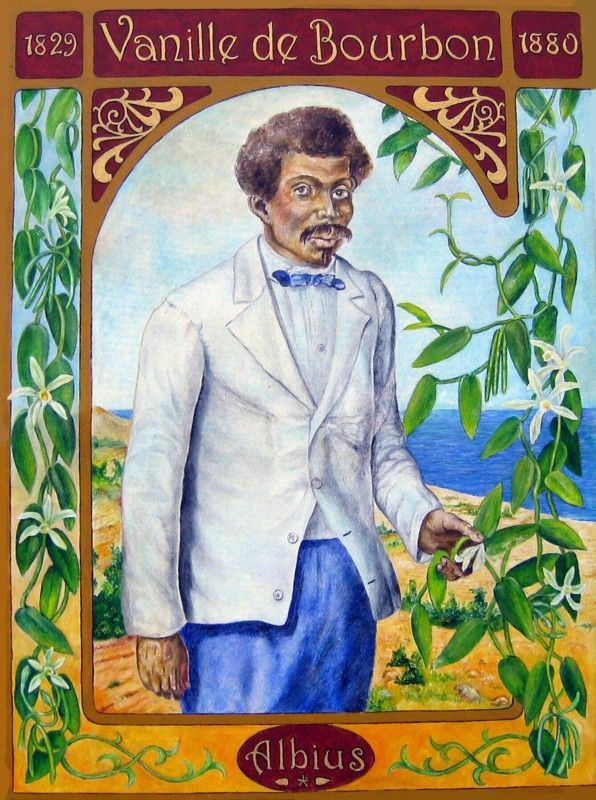 Prior to Albius's discovery, export of vanilla of vanilla on his home island of Bourbon (modern day Reunion) was limited to fifty kilos. A little over thirty years later, export was in excess of 200 tonnes. 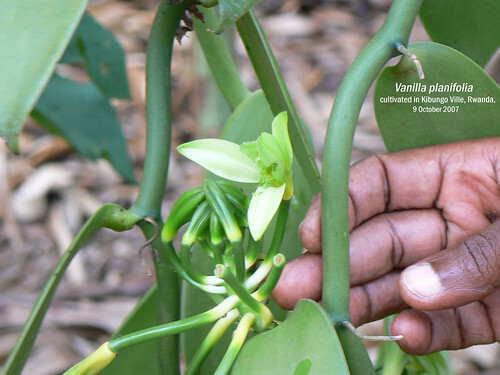 Although most of the vanilla used today is artificially manufactured, culinary and perfumer vanilla was originally extracted from the Vanilla planifolia orchid. Until Edmond Albius's breakthrough, the only source of vanilla was from wild Vanilla planifolia collected by villagers in the orchid's home regions. Horticulturalists and gardeners had been able to grow the orchid in other zones, but they were unable to find a way to propagate the plant due to the Vanilla planifolia's symbiotic relationship with a particular species of Melibona bee. Due the special design of the vanilla orchid flower, only this bee has evolved the adaptation to reach the pollen and pollinate the plant. 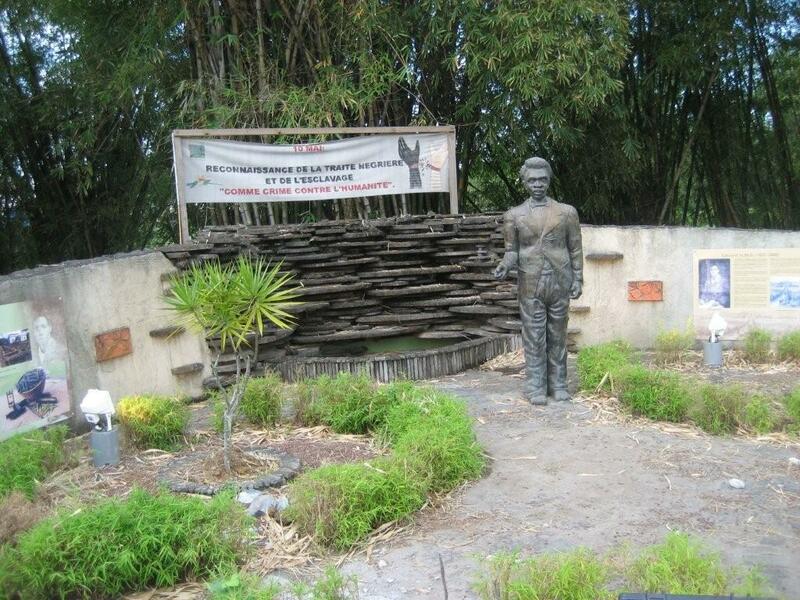 Edmond Albius was born into slavery on the island of modern day Reunion in 1829. Albius never met his father and lost his mother at a young age. After reaching an age where he could be of some use, his owner sent him to live with a new master,Ferreol Bellier -Beaumont. Beaumont was a noted horticulturist on the island who was given to experimenting with a variety of commercial vegetables on his estate. Due to Albius's young age and Beaumont's amiable nature, Albius spent most of his early days at the estate simply following Beaumont around his estate as he tended to his plants. In writing aboutAblius later in his life, Beaumont notes that "this young black boy became my constant companion, a favorite child always at my feet." Beaumont also maintained a garden of plants that he had collected as curiosities, including a thriving specimen of Vanilla planifolia. Familiar with a handful of pollination techniques and the failed attempts at propagating vanilla outside of his home, he had tried many times to hand pollinate his own specimen with no success. He was thus no doubt greatly surprised to find that the plant forming fruit during one of his walks. Shocked, he questioned his staff on the matter and discovered that Albius was to thank. Albius explained that he had seen Beaumont hand pollinate some of his simpler plants on the estate and had resolved to attempt to do the same with the vanilla plant. Albius had picked up a blade of grass and inserted it into the orchid flower until it reached the pollen and, with a flick of his finger and thumb, managed to pollinate the flower. As they watched the orchid develop fruit and seed that could be commercially used, Beaumont asked Albius to repeat the experiment with some other vanilla specimens, which Albius was able to do with remarkable precision. Aware of the economic possibilities that producing commercial quantities of commercial presented to the island, Beaumont notified the owners of other estates of the breakthrough, and Albius led workshops where he taught many others of his method. Soon, high grade vanilla was the number one cash crop grown on the island. Due to the widespread popularity of vanilla in Europe, many horticulturalists had attempted to find a way to artificially pollinate the Vanilla planifolia flower prior to Albius. However, none of the methods that were contrived were commercially viable, and the professional community was more than a little taken aback when the insight of a 12 year old French slave succeeded where all of their efforts had failed. Botanist Jean-Michel-Claude Richard soon claimed that he himself had taught Albius the technique three or four years earlier. Beaumont and many others quickly stepped forth to rigorously defend Albius and there is a wealth of historical documentation of Albius's defenders explaining the absurdity of Richard's claims. Amazing. The Black History that lies hidden from general public knowledge.